The Sunflower Potting Shed is a fantastic building to take some time to grow some amazing plants. The Sunflower potting shed is a fantastic building to grow some amazing plants. Although less so than a greenhouse, this design allows for a generous amount of light to enter, providing a perfect warm environment for your plants to grow in. 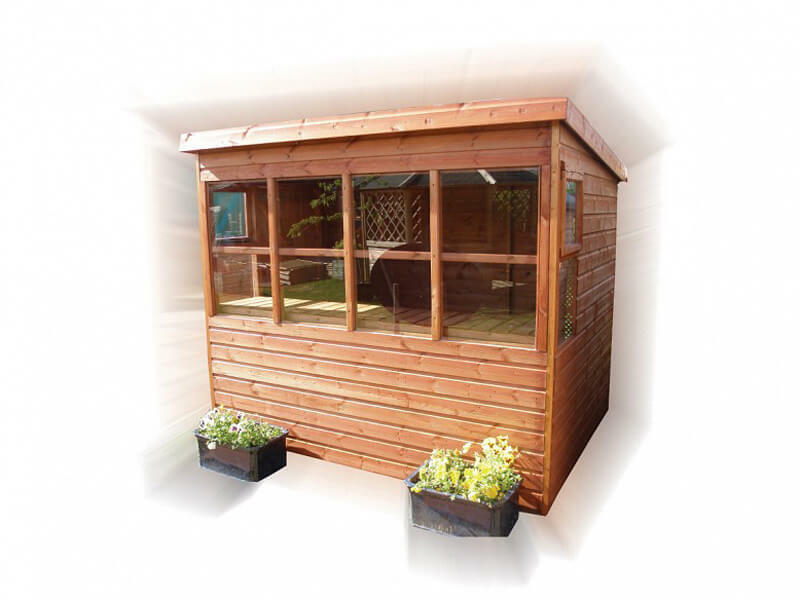 All of our Sunflower potting sheds are dip treated in a water-based treatment, although they will require a top coat on installation for longevity and strength of the wood.